Basically she told me that I am severely anemic. And it’s all because my menstrual cycles are so extremely heavy. I had actually stopped having cycles for 11 months and then all the sudden out of nowhere I started getting them again. And sorry for TMI, but they are absolutely awful when I have them. She explained that my body was expelling blood faster than it could make new blood. So that explains why I have been feeling so weak and tired all the time! I ended up having a blood transfusion and was put on iron supplements, so hopefully I will be feeling more energized soon. I feel like all I do anymore is go to the doctor and work, work, work. Because then once I am home, I’m so exhausted that I don’t feel like doing anything. I have had to literally push myself just to put up blog posts so that I don’t lose all of the followers that I have worked so hard to get. I apologize for not putting up posts regularly, but I’m sure you guys understand why now. So now the big question is whether or not to have a hysterectomy. My doctor said she highly recommends me getting one as soon as possible to eliminate me having cycles anymore and therefore putting me at less risk of such severe blood loss. I am usually one to always do anything my doctor suggests but I am absolutely torn on this subject. I have heard some women say that getting a hysterectomy was one of the best things they have ever done for themselves and others who say that it has made their lives awful. Plus, as most of you know, I have wanted to be a mother for such a long, long time. And even though we have “technically” quit trying to conceive, I still have that hope in the back of my mind that we might still receive our miracle one day. So if I go ahead with the surgery then that means absolutely 100% no chance ever of conceiving. I know I probably sound like a crazy woman since we did decided to end our journey and stop trying. But after all of those years and years of wanting to be a mom, those feelings don’t just go away over night. So needless to say, I am throughly confused right now and all I want to do is sleep. But, things could always be worse so I am thankful that even with all of these health issues I am facing that they are all nothing major. 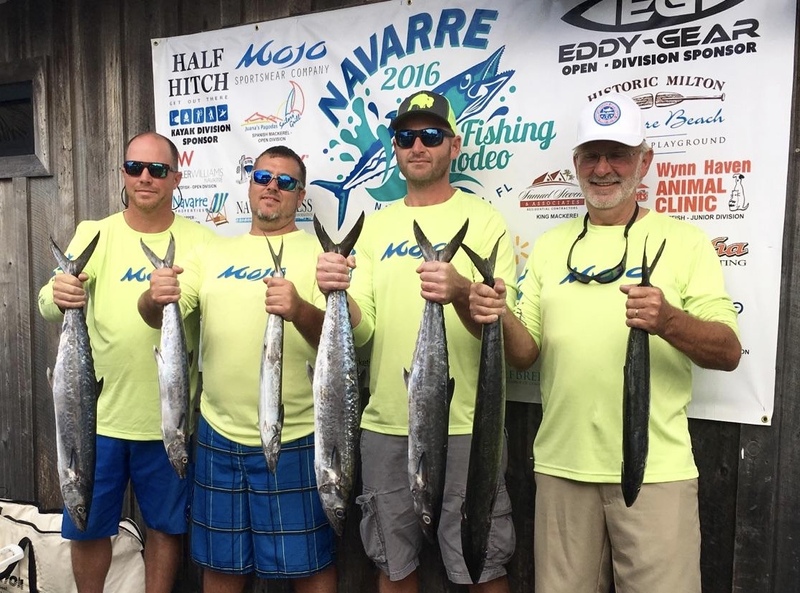 And like I have said many times before, thank goodness I have a great husband who is always more than willing to help out and take care of me.On a happier note, Allen participated in the Navarre Fishing Rodeo with his team Real Sharking and they did really well. He is truly turning out to be quite the Saltwater Fisherman and I am so proud of him. He is passionate about the fishing but also about safe catching and releasing of the fish. His motto is, “If you’re not going to eat it, you need to return it to it’s home.” We have learned so much about the marine life in the area and about things we can do to help protect our environment. This is something that we are both very passionate about now and one of the reasons that we love living on the gulf so much. Plus, there is always somewhere nearby to go fishing…. Anything going on in your life right now that you are truly thankful for?